No one wakes up one day and decides, “today, I think I’ll go get addicted to crystal meth” – which is to say that substance abuse and drug addiction are not purposeful situations that anyone actively seeks to put themselves in. Instead, addiction is a disease that insidiously works it’s way into a person’s brain and life quietly, often slowly, and roots itself deeper over time. 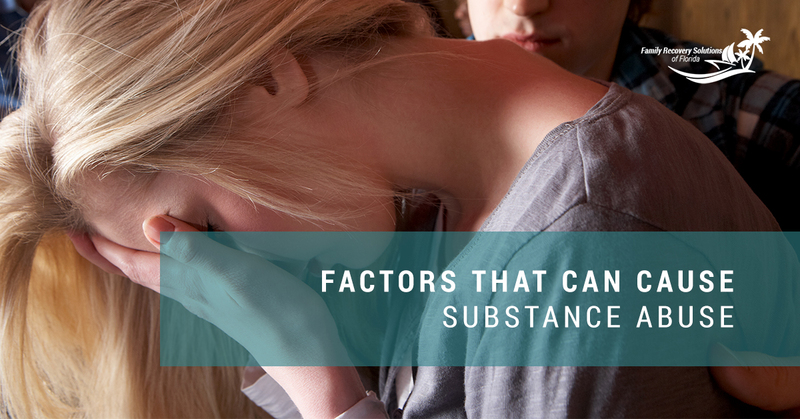 And, as you may imagine, there are a wide variety of different factors that can affect a person’s susceptibility to substance abuse. According to “Neuroscience of Psychoactive Substance Use and Dependence,” a report from the World Health Organization, the factors that affect someone’s susceptibility to alcohol abuse and/or drug addiction fall into two overarching categories: Environmental factors and individual ones. However, an addict may not need to experience all of the different factors involved, and may not even experience factors from both categories; one factor alone can be enough to push a person from substance use to substance abuse and addiction. This subset of addiction causes includes a wide variety of different things. They can include things like the availability of illicit substances, peer influence, changes in (or loss of) employment, and other social changes. For example, someone may occasionally, recreationally use an illicit substance and not feel any compulsion to keep using; however, after losing a high-paying job, that recreational use could become addiction as the drug abuser seeks more frequent highs to compensate for the loss of the job. As public school anti-drug programs often teach, pressure or encouragement from peers can also play a major role in addiction. According to the article cited above, “children exposed to criminal behavior and family members who abuse drugs/alcohol are at a greater risk of developing their own problems,” and the same goes for those who have friends who abuse substances, not just family members. Scientific research has shown that genetics also play a role in addiction, and can mean an increased likelihood that some will become addicted more quickly than others. Of course, genetics are not the only determining factor. The age at which a person first uses drugs can also have a major impact on addiction, especially when drugs are used during adolescence while the brain is still developing. Another physiological factor that can increase the possibility for addiction is one’s mental health; issues like depression and other mood disorders can prompt a person to self-medicate with illicit drugs. For many with mental health problems, drug abuse can actually amplify symptoms instead of easing them, which can lead to a cycle of drug abuse and mental distress. If you have a loved one struggling with addiction, we know you want to help them get clean. In order to help them through their recovery process, you first need the tools to protect and help yourself. Family Recovery Solutions of Florida offers help for families of addicts in Palm Beach and the surrounding areas. Contact us today to get the help you need to help your loved ones heal!